Every been frustrated at not being able to squeeze the last of the mayo out of the bottle? Well if you have arthritis, as I do, squeezing bottles of goopy substances is not easy to do. I’m sure that Hellmann’s make much of their profit from the mayo left in so-called squeezable bottles! 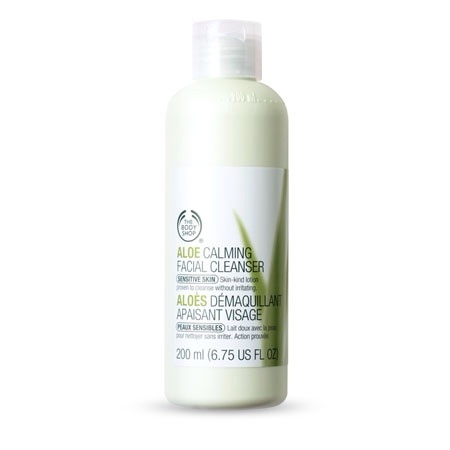 Recently one product I’ve used for years, Body Shop Aloe Calming Cleanser, has changed the bottle it is supplied in. At first I though that my fingers were just getting worse, but then quickly realised that the bottle had changed and the plastic used is much firmer than before, making it very hard to squeeze the cleanser out. I’m reluctant to change to a different brand as I have quite sensitive skin and know that Body Shop products don’t cause me to have skin reactions. So come on Body Shop, please change this container back again, so it’s easier to use! And whilst I’m complaining, why does your ‘Love your body’ card only work in your shops and not on-line? For disabled people getting to your shops is not always easy, whilst they are very accessible, there is often no parking nearby making shopping impossible, hence I buy most of your products on-line. Other stores I use, which also have loyalty cards, allow these to be used for on-line purchases, but not Body Shop. Why? By not letting me be credited with points when shopping on-line you are effectively discriminating against me and other disabled shoppers in the same position. Please re-think and come up with a fair solution for all your customers.